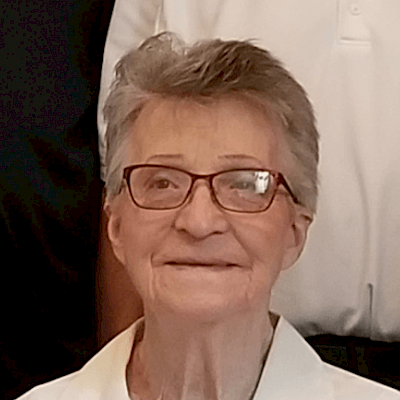 Joyce E. Schaaf, 83 of Chetek passed away Thursday, January 31, 2019 at her residence with her family by her side. She was born October 4, 1935 in Belleville, Illinois the daughter of Aurelia (Birkner) and Raymond Wilke. Joyce married Bill July 2, 1954 in Belleville, Illinois. Together they raised their sons, Gary and Richard. Joyce enjoyed spending time with her husband Bill at the Casino, always finding a good bargain at garage sales and mostly spending time with her family, especially her grandchildren. She will be sincerely missed by everyone who knew her. Joyce is survived by her husband of 64 years, William “Bill”, sons; Gary (Tracy) Schaaf of Rice Lake, Richard (Melody) Schaaf of Chetek, five grandchildren; Lena (Roger) Pelawa, Jared (Jenelle) Schaaf, Ricky (Jena) Schaaf, Dusty (Heather) Schaaf, Mike (Vanessa) Schaaf, twelve great grandchildren, siblings; Rajean Woods, Raymond (Joyce) Wilke, Judy(Cecil) Crites, Larry (Myra) Wilke, Chuck (Cindy) Wilke, brother0in-law; John Felsoci, sister-in-law; Ethel Wilke, and many other relatives and friends. She is preceded in death by her parents, one infant son Michael, siblings; Wesley & Robert (Wanda) Wilke, Patricia Felsoci and brother-in-law; George Woods. A memorial service will be held at 2:00 P.M. Saturday, February 9, 2019 at Chetek Lutheran Church with Pastor Guy Redfield officiating. Visitation will be from 1:00 P.M. until the time of the service. Please join the family for a luncheon and continued fellowship in the church hall following the service. Joyce will be laid to rest at Northern Wisconsin Veterans Memorial Cemetery in Spooner, Wisconsin privately.